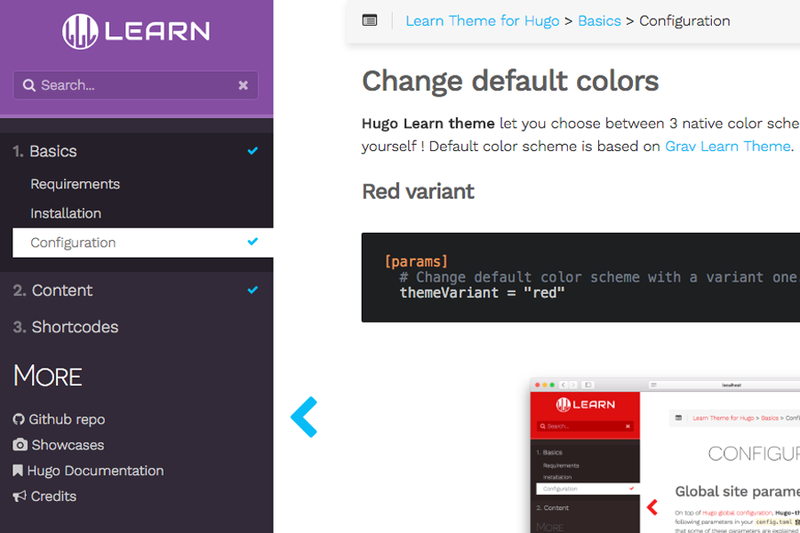 This repository contains a theme for Hugo, based on great Grav Learn Theme. Visit the theme documentation to see what is going on. It is actually built with this theme. Check that your Hugo version is minimum 0.25 with hugo version. Many thanks to @vjeantet for the fork docdock. The v2 of this theme is mainly based on his work !